Much, if not all of the influences of the music of Vision Ahead comes from the cultural topography of the mind of Mr Barber. In its fertile soil is planted the pillars of Jazz left there by the African American ancestors, who stood tall as redwood trees. Here Mr Barber lives as a young sapling with a yearning for his place in the sun. There is also the essential element of the AME church that nourished – against all odds – what ministers once went as far as to call the “devil’s music” – manifest as the Sunday Morning Prayer Meeting. Finally there is the topping: living as a young black man in an Amerikkka – not America, but one spelled with three ‘k’s instead, standing for the Klu Klux Klan – which, believe it or not; like it or not, is poisoning the soil that nourishes life in a country of many great artistic souls. And as many who have gone before him – such as Louis Armstrong, Duke Ellington, Charles Mingus among many other prominent Black musicians Mr Barber sees hope where there is also despair, love where there is also hate and joy where also sorrow. And he has chosen to not only survive, but triumph, in such a vexing environment by challenge himself to think – and in doing just so – express his “vision” for the way forward, which is this music expressed between the aural parenthesis of his bold “Statement of Vision” with its rumbling percussive groove and his joyously leaping “Believing in the Reunion” (of the United States, perhaps)? Between it is a series of ten songs that connect the dots to reveal a “sonic” picture full of vivid colour mixed in a range of softer, infinitely delicate hues and textures that come to life in the idiomatic writing and performances of this music. 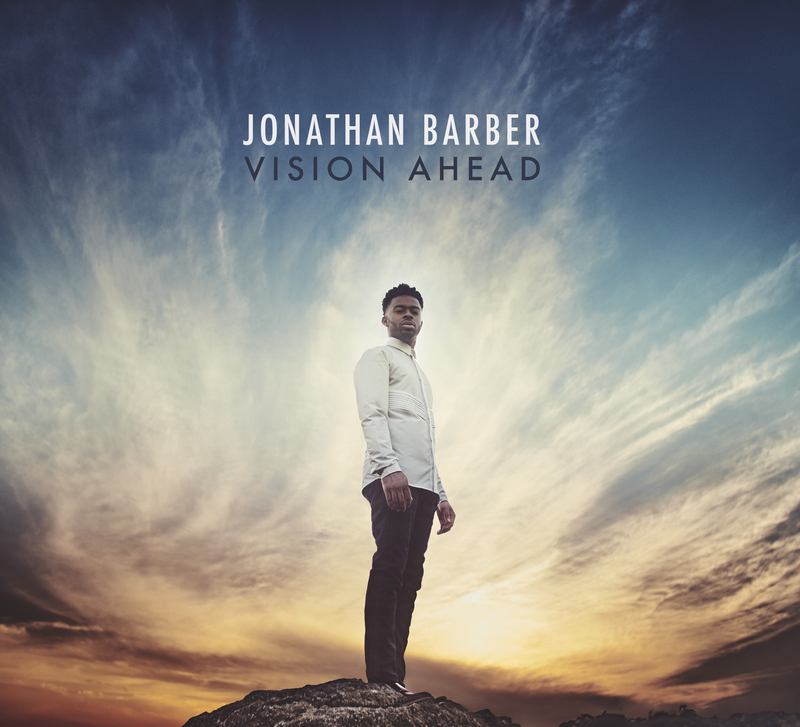 The effort is remarkable and suggests that Mr Barber is not merely a drummer, and even if he is, he thinks like a musician with the multi-dimensional facets of a carefully cut and gleaming diamond. In each facet resides musicianship that enables him to impart prismatic hues he can impart to the simple twang of the Andrew Renfor’s guitar, in the dazzling arprggios of Taber Gable’s piano; to create music that is expressed in the keening wail and ecstatic whoop of Godwin Louis’ alto saxophone; music that buffers the voices of both musicians with the erudite gravitas of Matt Dwonszyk’s bass, and raise all of this into a rarefied realm by writing into the harmonies the high-sprung voices of Denise Renee and Sasha Foster; all the time creating the most wonderful web of rhythm to catch the falling stars in his vividly coloured percussive net. Listened to end-to end, this is more than the music of a generous heart and a fertile mind; it is the work of a young musical alchemist.